WASHINGTON — An economic crisis already present in Puerto Rico before Hurricane Maria devastated the island more than 50 days ago could get much worse as officials estimate they will need as much as a staggering $21 billion over the next two years to cover operating costs and help the island rebuild its infrastructure. After nearly two months since the storm made landfall, more than 70 percent of residents remain without electricity, and several sectors still have no running water. The fiscal control board was created during the Obama administration to oversee a restructuring of the island’s crippling $72 billion debt, but debt repayment has taken a back seat to the more immediate need of hurricane recovery efforts. Jaresko told lawmakers that the island’s recovery depends largely on a concerted federal response, and that there is no way to predict when the debt issue will be taken up. 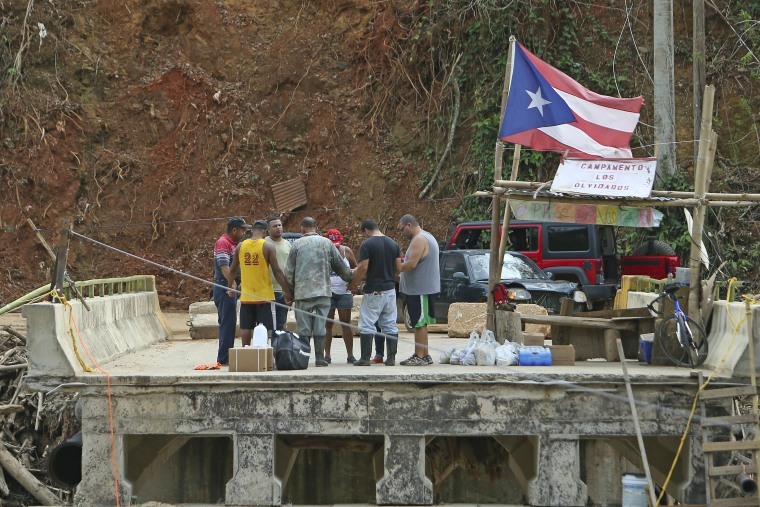 Puerto Rico is currently under a court order prohibiting disaster relief funds from being used to pay creditors. Jaresko also defended the fiscal control board’s appointment of Noél Zamot as an emergency manager, or chief transformation officer, for the island utility company to oversee recovery operations, an appointment that was not welcomed by the island government or legislature. While Zamot testified that he is ready to take on the task if his appointment is approved by the judge overseeing Puerto Rico’s bankruptcy proceedings, he could not provide any timeline or estimate on when the island’s electricity would be fully restored nor the costs to fix the power grid. While he was testifying in Washington, the Puerto Rico Senate voted to reject his appointment. Tuesday’s was the first congressional hearing since the hurricane to focus on the island’s finances, and several legislators chastised the federal response as “slow to arrive and slow to respond,” with Rep. Raúl Grijalva, D-Ariz., adding that Congress should focus on hurricane recovery and not on island creditors. “Puerto Rico doesn’t need a lecture or advice. They need help, our help. To provide help not to the islanders but to investors is wrong," Grijalva said. The committee chairman, Rep. Rob Bishop, R-Utah., had been calling for greater congressional oversight, particularly after the island’s electric company granted a $300 million no-bid contract to a small Montana company, Whitefish Energy Holdings. The contract was canceled but not before several multimillion dollar payments were disbursed for ongoing work, and Puerto Rico Electric Power Authority director Ricardo Ramos was scheduled to testify on Tuesday but canceled at the last minute, citing his need to be on the island to continue recovery efforts. Bishop says he was “very disappointed” Ramos was not present. “I am a little bit chagrined. He was here specifically to talk about Whitefish,” Bishop said, adding that he would request Ramos testify next week when the committee holds a hearing with Puerto Rico Gov. Ricardo Rosselló. San Juan Mayor Carmen Yulín Cruz was also invited to testify Tuesday but declined to appear.